The price for Lenovo Ideapad 100 Core i3 5th Gen - (4 GB/1 TB HDD/DOS/2 GB Graphics) 100 Notebook ( 15.6 inch Black 2.3 kg ) is valid across Bangalore, Hyderabad, Chennai, Mumbai, Delhi, Pune and Kolkata. 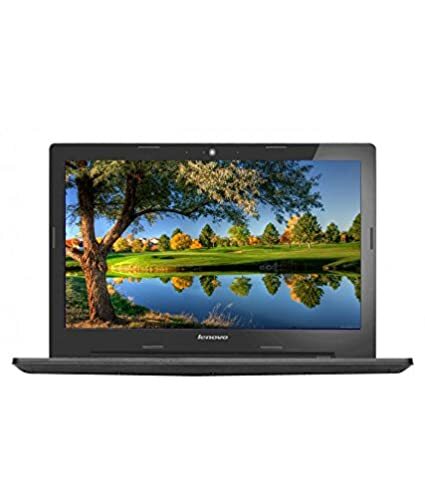 The Lenovo Ideapad 100 Core i3 5th Gen - (4 GB/1 TB HDD/DOS/2 GB Graphics) 100 Notebook ( 15.6 inch Black 2.3 kg ) is available at best price of INR 31090 on Flipkart. Overall good but Driver searching took about 3 dayz. M having win 7 ,Intel display drivers on lenovo site won't work,u will have to download it from Intel website and install(then only brightness buttons work).and u can install nvidia drivers from lenovo website. Also camera driver wasn't working. At first I thought camera is faulty . but after hours of searching. I found that I have to manually update from device manager. Battery: one to four hours Very good heat dissipation Trying to install mac os but not getting success. Average laptop,not as expected. Build quality is not good. Very low voice speakers. Received a faulty keyboard, got it changed from Lenovo service center.